Whilst being on holiday I have read the most amazing book which I'm sure a few of you will have heard of. 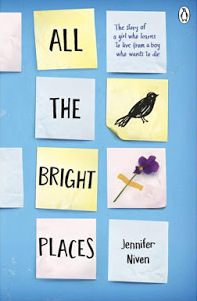 The book is called All The Bright Places by Jennifer Niven and it's been climbing the book charts recently. The synopsis: Theodore Finch is fascinated by death, and he constantly thinks of ways he might kill himself. But each time, something good, no matter how small, stops him. My thoughts: This book is told using two points of view. One is Theodore Finch who is 'trying to stay awake' throughout the book and at first I didn't understand what he meant but as you read you slowly begin to understand him as a person. 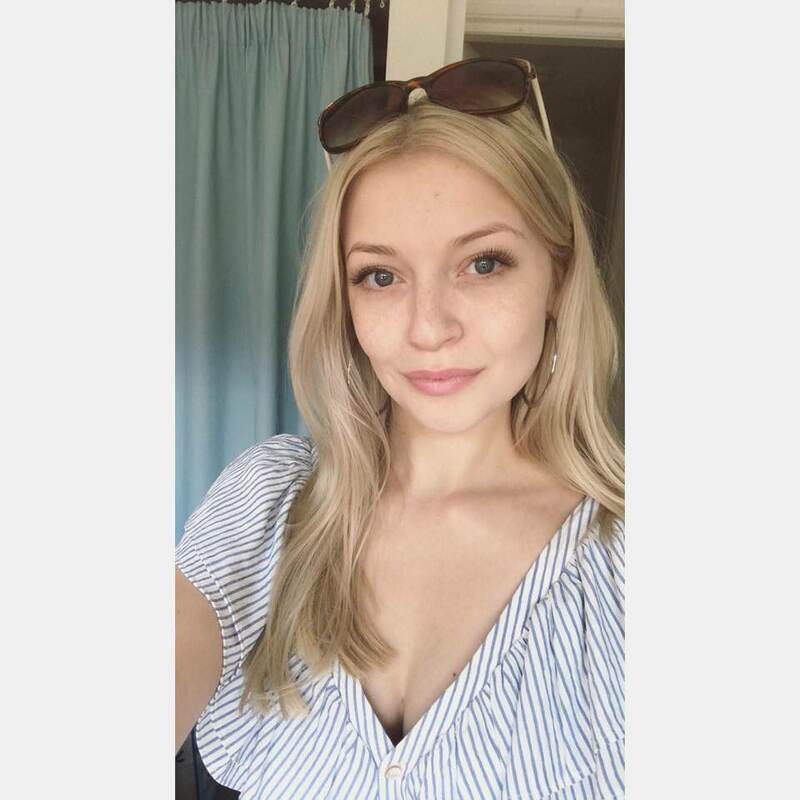 The other is Violet Markey who is counting down the days till graduation so that she can move away from the city and the memories it holds - Her and her sister were in a car accident and unfortunately her sister didn't survive. The book starts as the pair are at the top of their school's bell tower looking down on the world around them. Finch talks Violet down after she starts to panic because she's scared of falling. The school however, think Finch is a 'freak' and assume that Violet climbed the bell tower to talk a suicidal Finch down and Finch lets them believe this. Finch then becomes intrigued with this girl and in order to get to know her better he volunteers to work with Violet as part of a school project where they need to go sigh seeing around Indiana. They go 'wandering' to different landmarks and tourist attractions and as you can imagine, begin to come quite close - They get romantically attached and the book describes some rather close encounters. I can't help but feel this book is very cliche and if you liked The Fault in our Stars and Looking for Alaska you will love this book because they're very similar. Towards the last half of the book you can tell Finch's mental health is slipping, he becomes distant and his train of thought is all over the place. He takes to living in his closet and Violet become increasingly worried. After a small argument between the two of them Finch goes missing without a trace. No one can get in touch and after time Violet tries to move on but Finch's family come to her for help. After checking Finch's closet she comes across clues leading to a lake where they wandered. At the lake she finds a pile of his clothes and rings the police. Hours later his body is recovered - Dead. Police and his family class it as an accident but Violet know what it was - Suicide. When they used to wander tourist attractions they kept a map of locations and so Violet follows the points on the map left by Finch before his death. During his disappearance Finch left Violet beautiful gestures around these locations. It's a long detailed review but I loved this book far too much to give it a short review. I've never read a book which has raised awareness of mental illness as much as this book will. It's a growing topic and hopefully people reading this book will now be aware of the topic. It's truly a beautiful story and for that reason it is my first 5-star review! I loved reading this, I found the ending so sad though! Same, I couldn't believe he was actually dead... It was really sad!